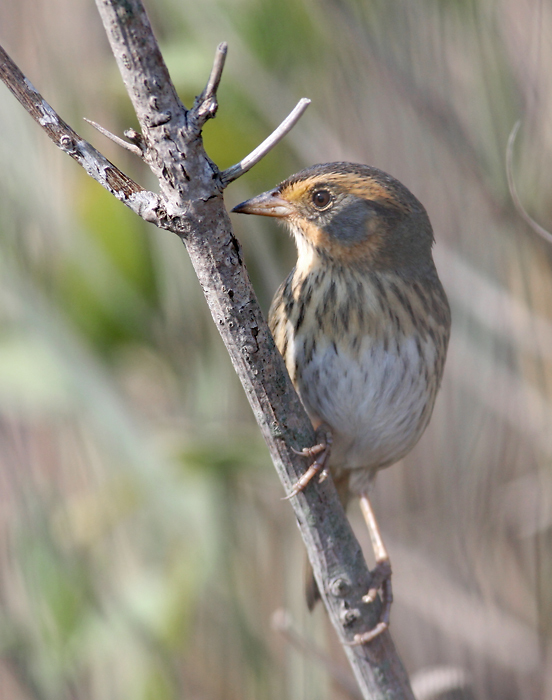 Eastern Shore of Maryland in early November. 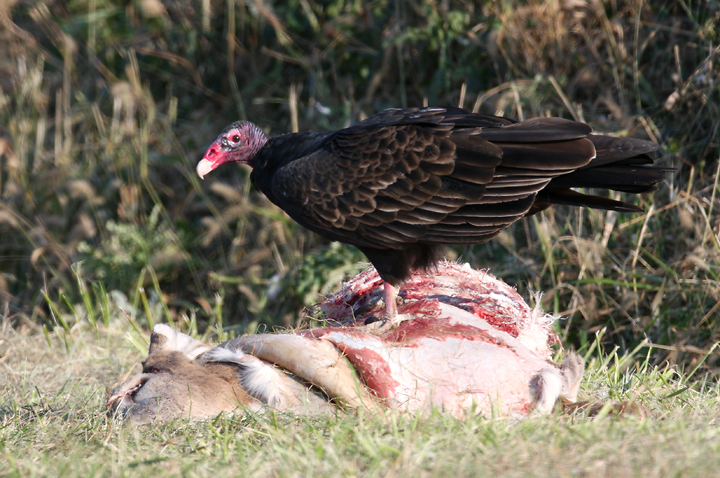 Last updated: 11/4/2007. 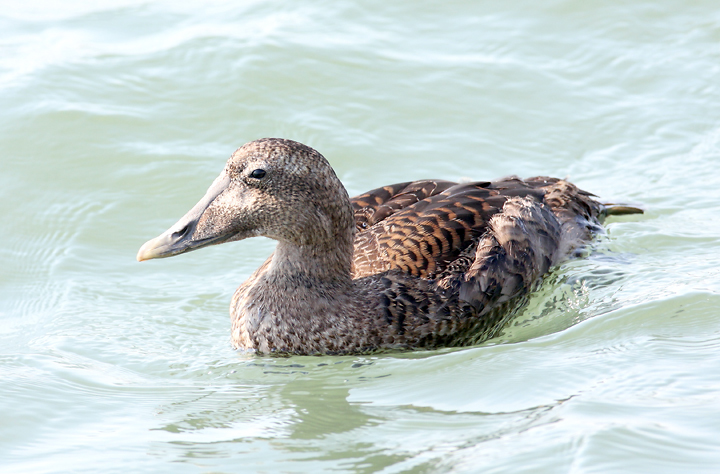 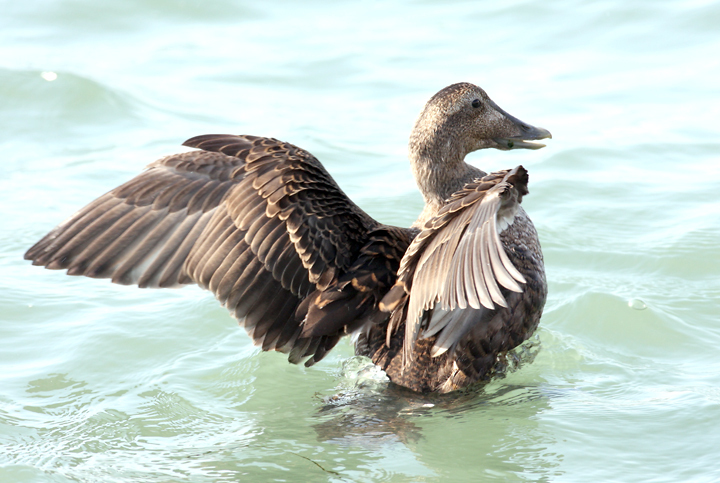 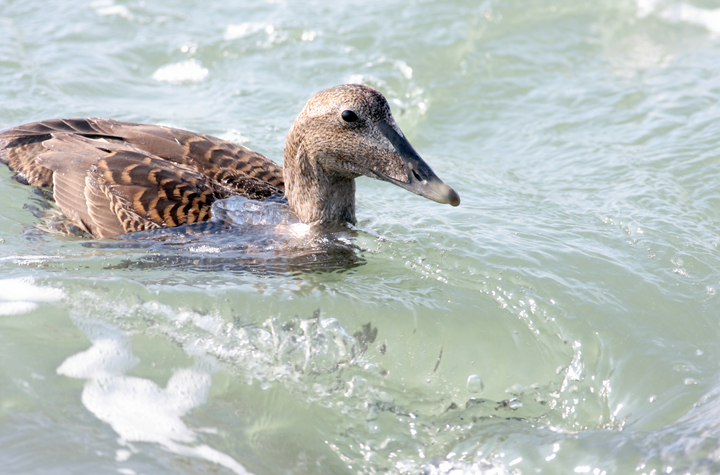 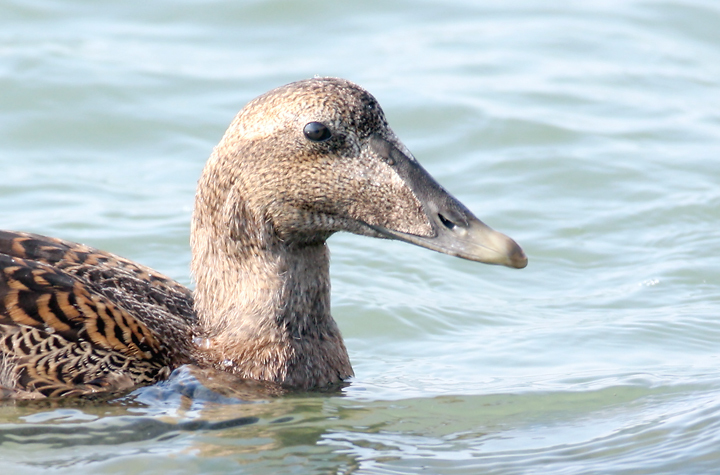 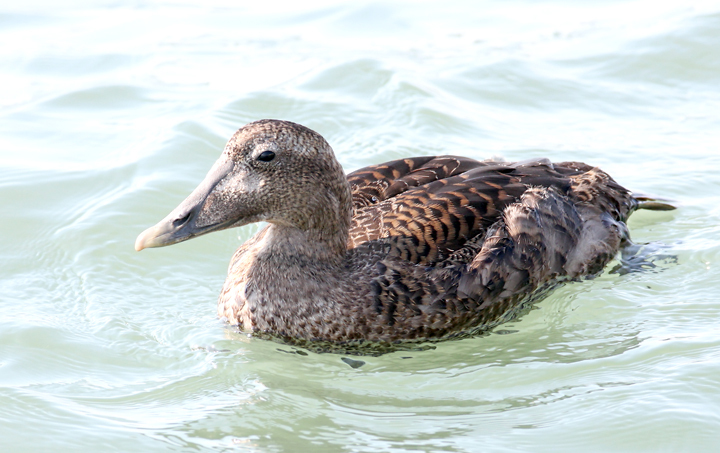 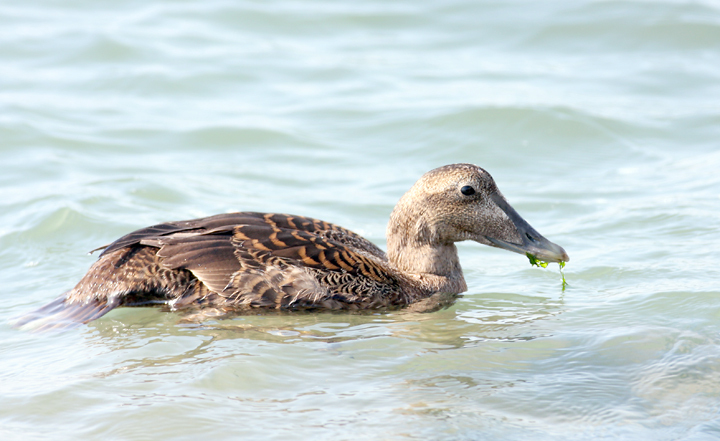 Above and below nine: This female Common Eider was exceptional in its confiding behavior, foraging along the near seawall at the Ocean City inlet (11/4/2007). 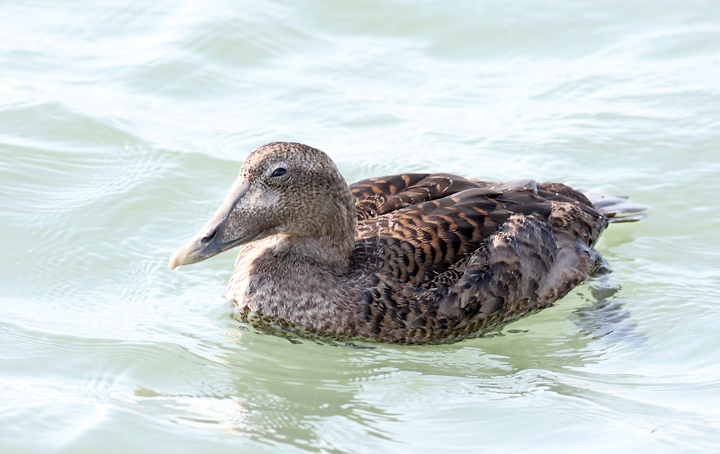 Having frozen for hours in mid-winter to view distant eiders, I couldn't help but shake my head and smile as the local fisherman casually said "quack, quack" as it passed. 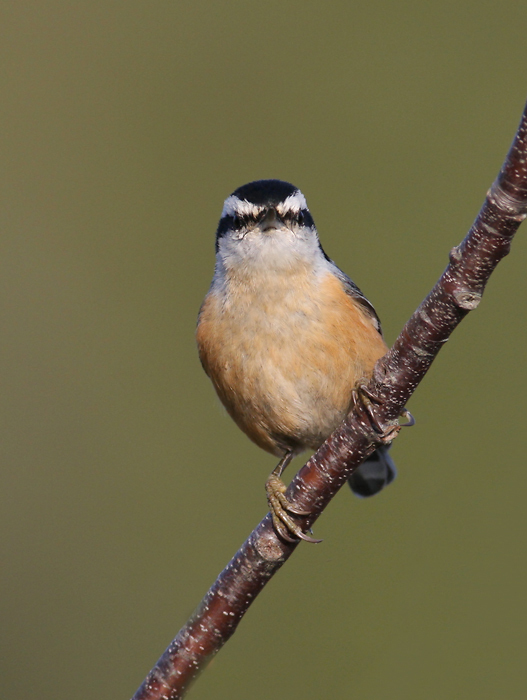 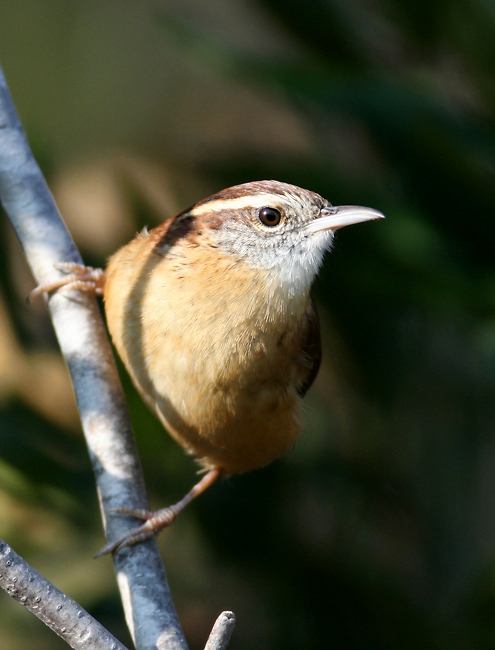 The rich reddish-brown upperparts of this bird allow identification as the Atlantic subspecies (S. m. dresseri), which is the expected subspecies in this area. 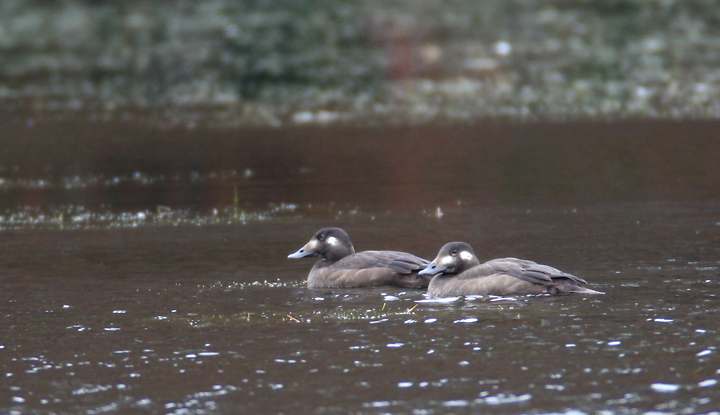 Below: A pair of White-winged Scoters on Schumaker Pond in Wicomico Co., Maryland (11/3/2007). 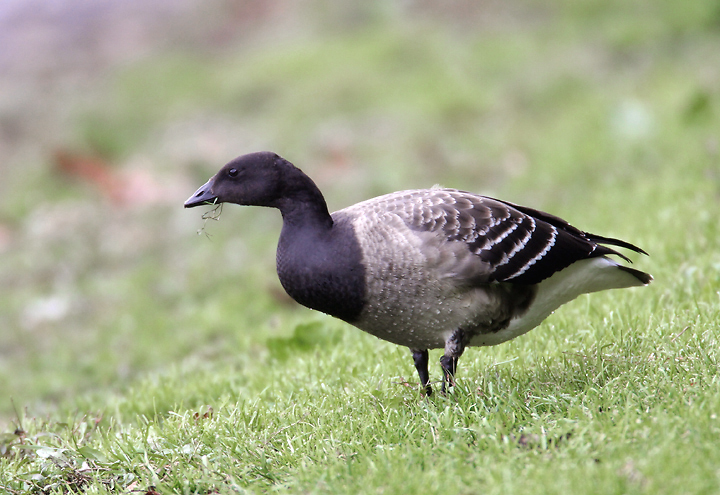 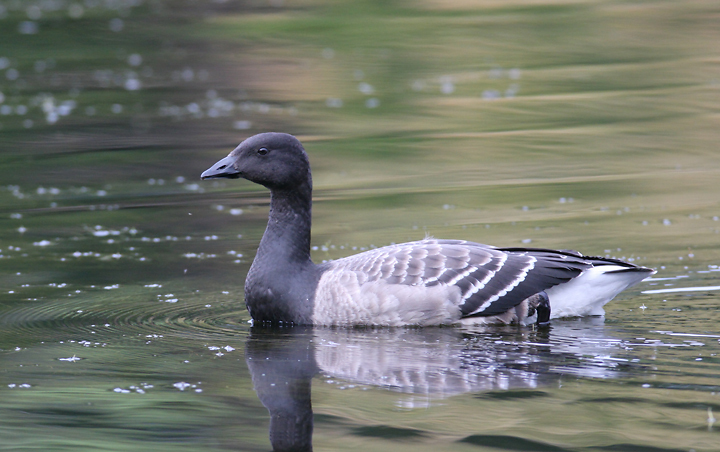 Below three: An Atlantic Brant was another unexpected visitor to the pond this weekend. 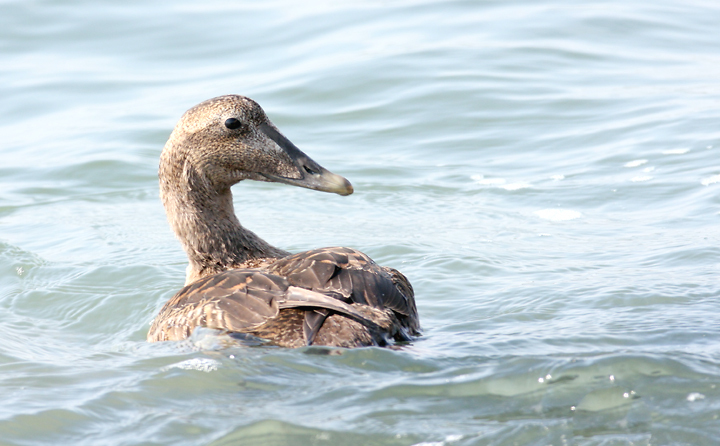 Jim Brighton found both the scoters and the Brant, as well as a local rarity, American Coots. 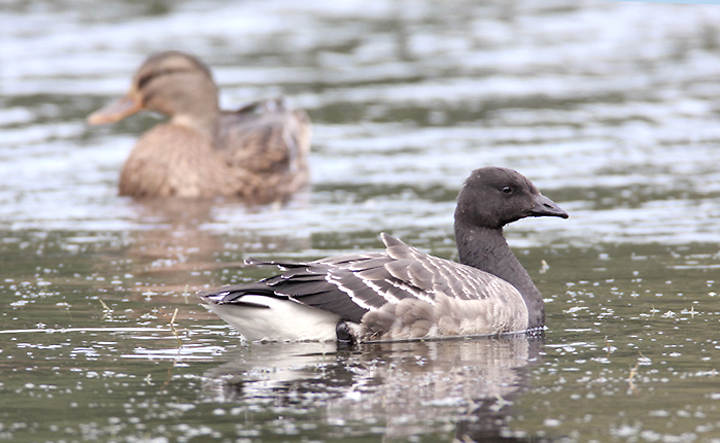 Strangely, the species is notoriously difficult to find in Wicomico Co.
Below: Lest we forget how small a Brant is, a size comparison with a female Mallard. 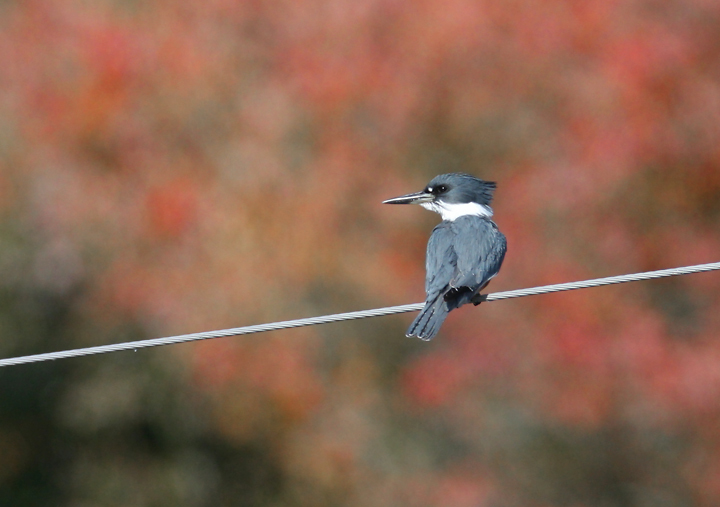 Below: A Belted Kingfisher hunts over Barren Creek, Wicomico Co., Maryland (11/4/2007). 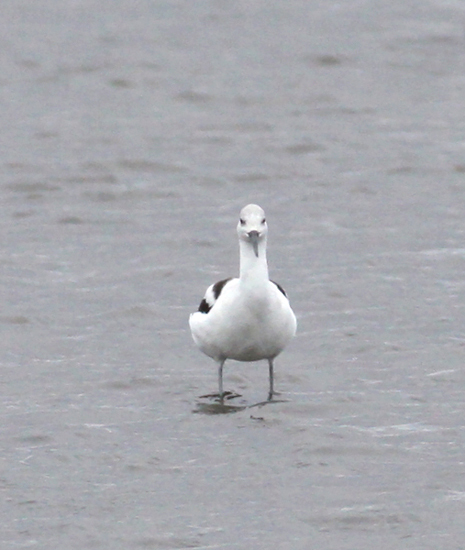 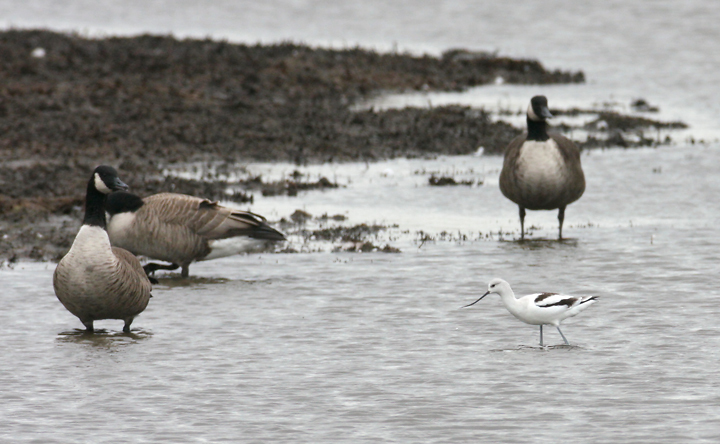 Below two: One of five American Avocets found at Blackwater NWR, Dorchester Co., Maryland on 11/3/2007. 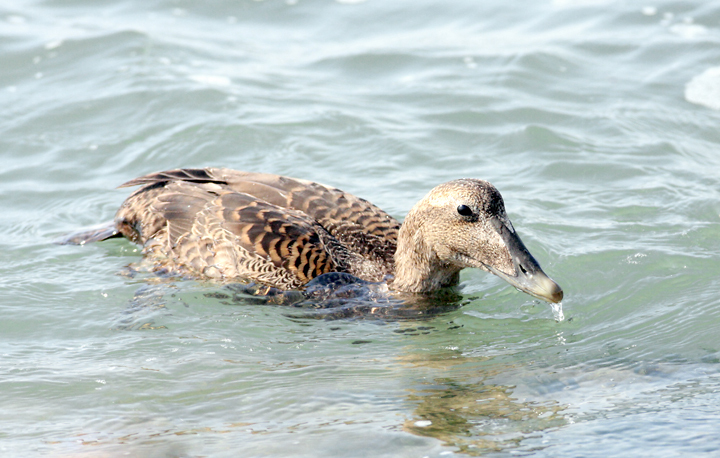 This species is surprisingly difficult to find in Maryland away from key sites such as Hart-Miller Island. 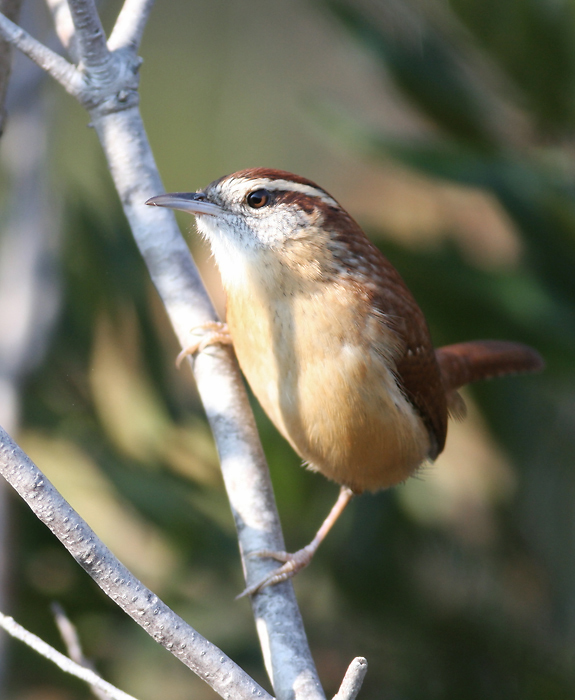 Below two: A Carolina Wren scolds me thoroughly for disrupting its simple island life (Assateague, 11/4/2007). 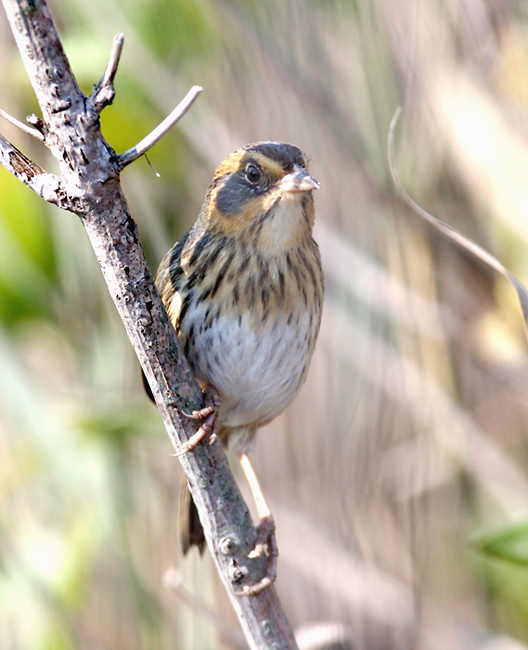 Below two: An attractive Saltmarsh Sharp-tailed Sparrow in coastal Worcester Co. (11/4/2007). 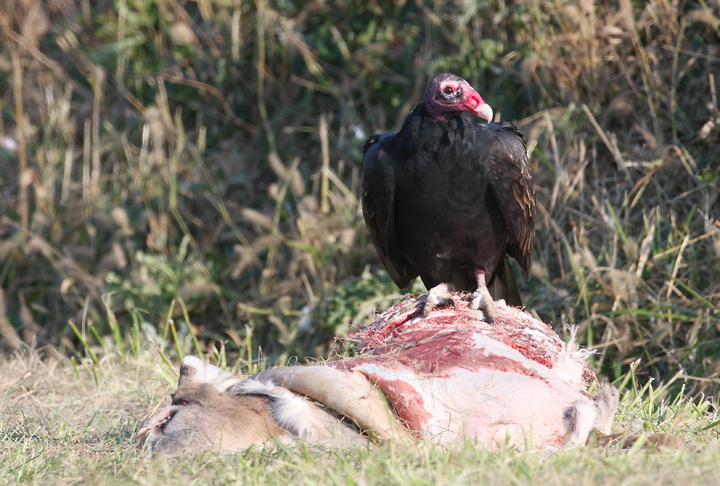 Below two: Nature's recycling team hard at work - a Turkey Vulture in Talbot Co., Maryland (11/4/2007). 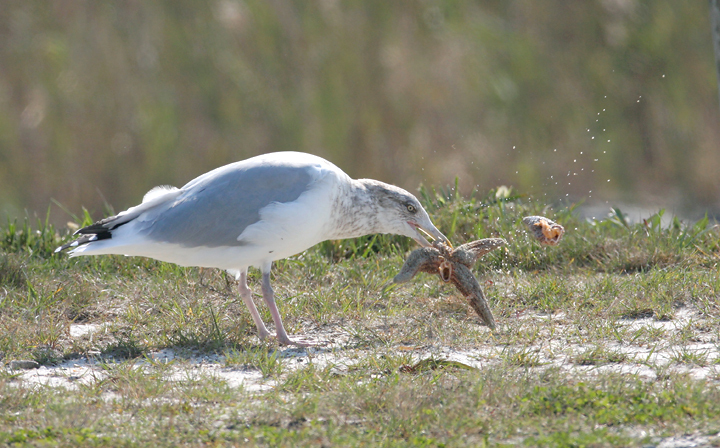 Below: An adult Herring Gull disassembles a huge starfish in Ocean City, Maryland (11/4/2007). 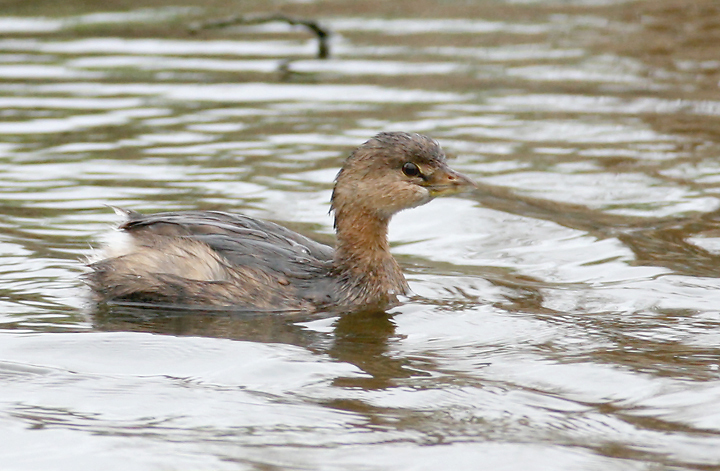 Below: A Pied-billed Grebe at Blackwater NWR, Dorchester Co., Maryland (11/3/2007). 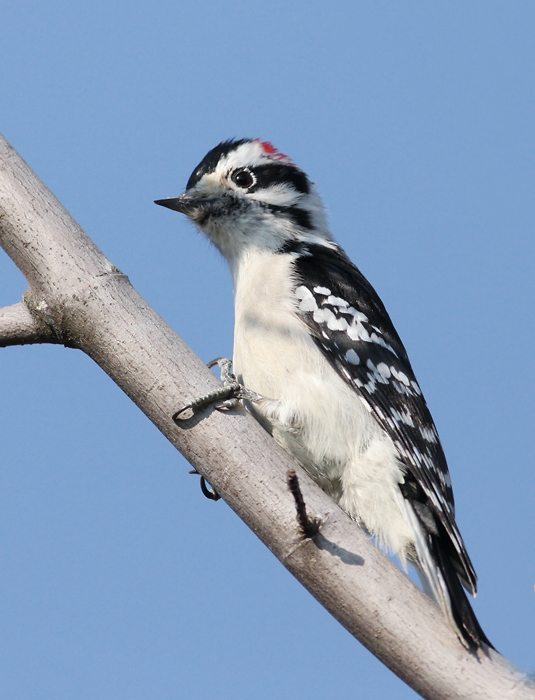 Below: A male Downy Woodpecker on Assateague Island, Maryland (11/4/2007). 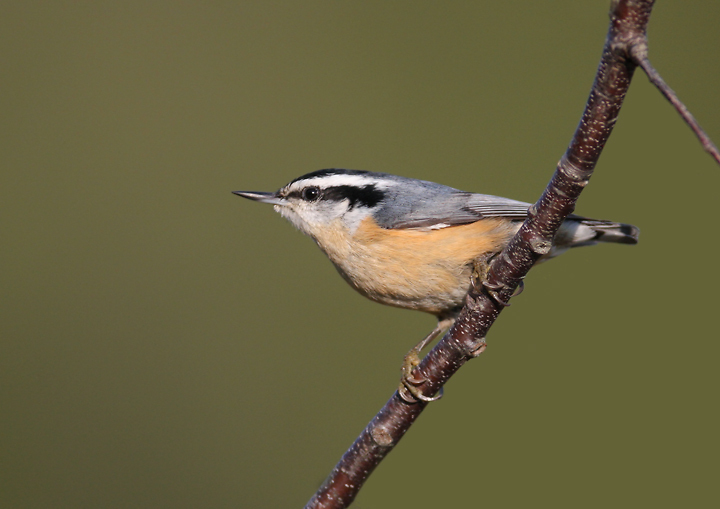 Below two: Far too photogenic to pass up, a Red-breasted Nuthatch on Assateague Island, Worcester Co., Maryland (11/4/2007).